If you’re looking to keep on top of your running performance you’ll find this feature a big help. Regular use over time allows you to see how efficient your running is. 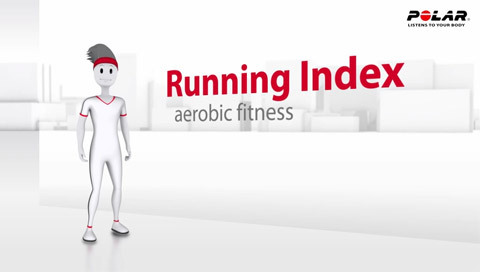 Your Running Index score is calculated automatically after every run, based on your heart rate and from the speed data collected from your GPS or stride sensor. A higher reading indicates that you can run faster with less effort. In V800, this feature can also recognize if you're running uphill or downhill.